Josh Kerman, also known as KermiTT, has been behind the decks since eleven years of age. He hails from the Chicago area where he has DJ’d hundreds of private events. In 2013, Josh moved to Burlington Vermont to earn a Bachelors of Science Degree in Marketing and a minor in Psychology at Champlain College. Within his first few weeks living in VT, Josh quickly got involved with the local club DJ circuit in downtown Burlington at popular nightlife spots such as Red Square, RiRa Irish Pub, Sidebar, Half Lounge, Rasputins, Ruben James, Drink, and many others. 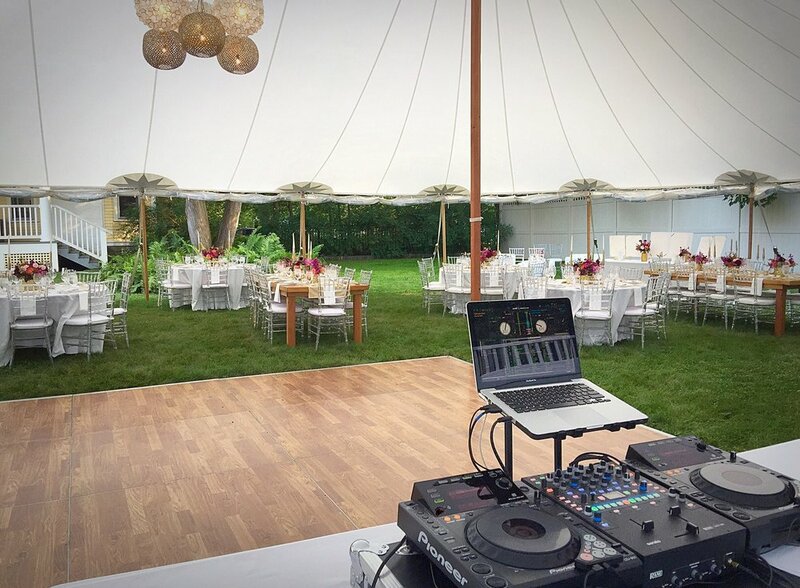 Josh has also DJ’d events for an array of corporate clients including Dealer.com, Macy’s, Stowe Mountain Resort, UNICEF and the American Cancer Society. Josh has even had the privilege to open up for Grammy winning artist, Coolio. Josh has a great ability to read the crowd and engage the dance floor for an awesome party at any wedding or event! "DJ KermiTT was a ton of fun!! He helped with many aspects of our wedding. He took care of our wedding ceremony audio, cocktail hour music and reception. To my surprise he coordinated songs with my bridesmaids that were included within their speech! He also helped me by creating a mix of four songs that I danced to with my father’s siblings in his honor. During the planning stages he was very organized, detailed, professional and very response to emails. Everything KermiTT touched went smooth! Our guest loved his music! KermiTT kept our guests dancing all night long! Thank you, KermiTT"
"From the very beginning he was great about staying in touch, answering any questions and making sure he knew exactly what we wanted. Josh was the DJ for our wedding and was really great! He arrived on-time, was organized, well put together and wanted to please us. He kept the dance floor moving all night and the light show was a great touch! He was also really great with my son, which really made my son's night so memorable! I would definitely recommend Josh for your special occasion." 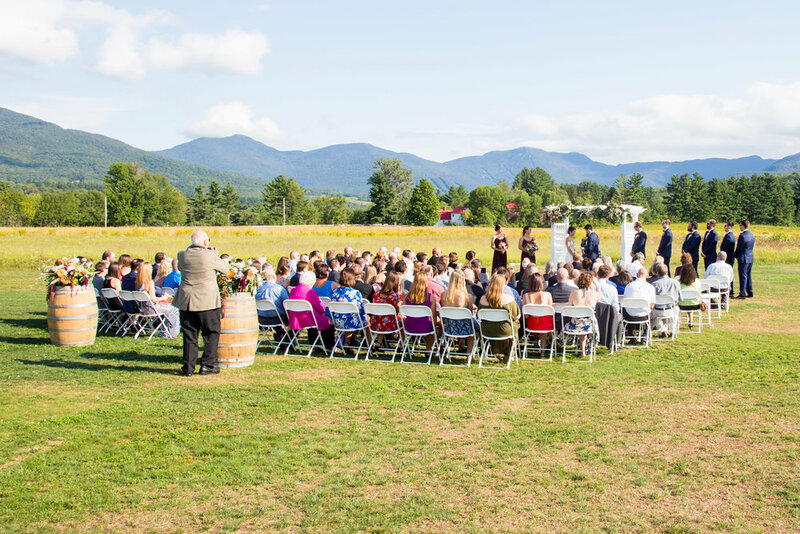 "I am the wedding planner for Whiteface Club & Resort in Lake Placid, NY. We have weddings every weekend through the season. I recently had the pleasure of working a wedding with Josh. He was very professional from the moment he arrived (on time) to set up for the wedding. The timing of the songs for the processional and recessional were on point. At the reception, the bridal party introductions were exciting and flowed right into the couple’s first dance. After dinner when it was time to dance, the whole dance floor was full through the rest of the night. It was a pleasure working with Josh and we hope to see him at the Club again soon." "Josh was amazing! I cannot say enough about how great he was to work with. It was truly a blessing to have a vendor that was so proactive, organized and just a genuinely great person. He went above and beyond; on top of DJing, which was amazing to begin with (the dance floor was alive all night long), he coordinated the entire night's events, AND! he took photos of the dance floor that the photographer missed, that was priceless. I 100% recommend Josh. Out of all our vendors, he was by far the very best and we were so incredibly lucky to have him." "Quite the challenge to create a mix of EDM, Christian rock and 80s pop hits sprinkled with a touch of 50s music for our wedding. With the objective that no one wanted to leave the dance floor, Josh met the challenge with ease. The dance floor was full until they kicked us all out with guests aged 18 to 80 having a blast. The grandparents danced all night and the guests in their 20s said they felt like they were at a concert." 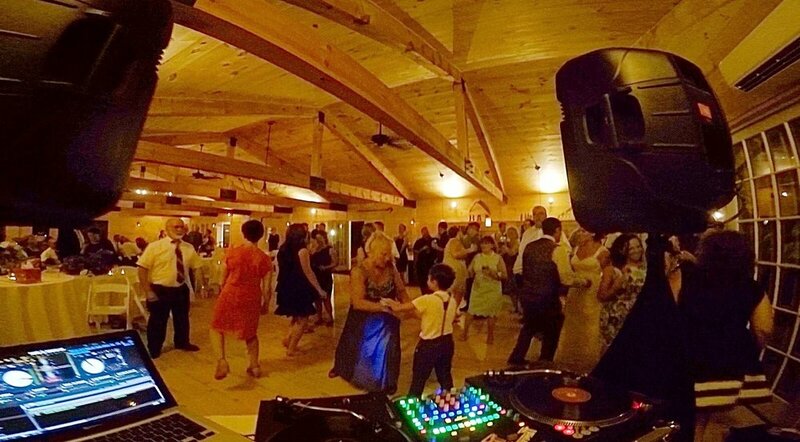 "Josh did an amazing job as our DJ at our outdoor summer wedding. He kept people on the dance floor and smiling. He also played music from all generations to please the entire crowd. Overall, we couldn’t have asked for a better DJ."